We connect Madrid and Vigo on a daily basis! 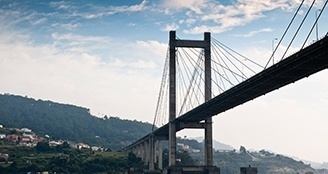 Vigo is a perfect for a weekend (or long weekend) get-away. The tranquillity of this old and historical city complements the gorgeous scenery. 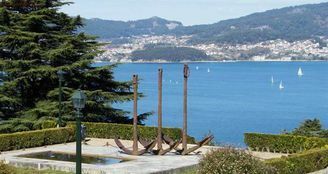 The origins of the city date back to a Castro village, the remains of which can be found on Monte O Castro, where you can also take in the best views of Vigo's estuary. On your way down the mountain, explore the historical quarter (Calle Pescadería, dubbed Calle de las Ostras/Oyster Street) and sample the freshest oysters around. You are also sure to enjoy the Roman Villa of Toralla, an oceanside archaeological site, as well as the ground-breaking works at the MARCO contemporary art museum. Vigo's estuary ("La ría") is the city's pride and joy, and the focal point of its centuries-long history. 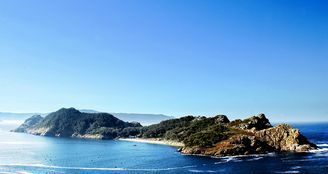 This is the southernmost estuary of all the Rías Bajas, and the deepest in all of Galicia, making the Vigo port one of the largest in all of Europe. The waters are dotted with long-bottomed boats used to culture mussels. Now declared a nature reserve, the beautiful and unique Cíes Islands are well-deserving of their nickname, the "islands of the gods". The three islands are home to nine heavenly beaches, including the Rodas beach, which was cited as the best beach in the world by the UK journal The Guardian. The Rodas beach, more than half a mile long and 200 feet wide, connects two of the three islands, Monte Agudo and Faro. The Cíes Islands can only be visited during Holy Week and in the summer, as tourism is limited to protect the environment. If you go during these times, they are perfect for everything from a family holiday to a day of scuba diving and other water sports.